Unbelievable craftsmanship in this very custom home by the sea. Located just steps from the ocean on the west side of Shell Beach Village, this newer home has rarely been used. 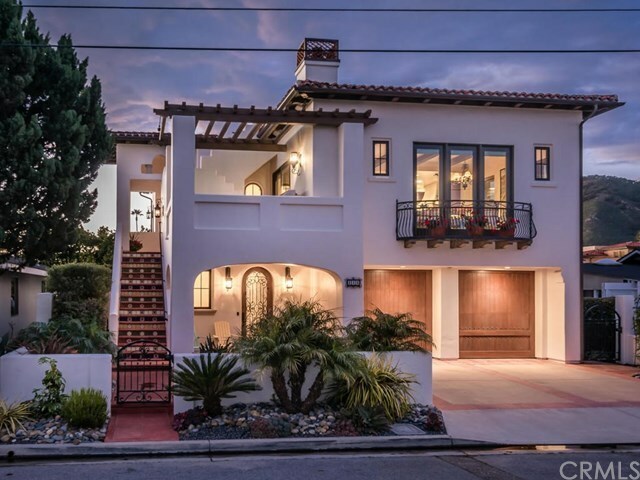 Enjoy panoramic ocean views from this 3 bedroom, 5 bath home ( 2 half baths). Each bedroom has it's own private bath. The downstairs is set up for complete guest privacy with it's own entrance and courtyard. No expense was spared. Large deck off the family room and panoramic rooftop deck. Custom Everything!